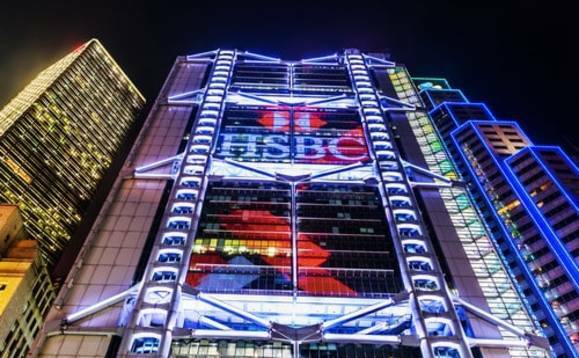 HSBC, one of the world’s largest banking and financial services companies, announced yesterday it had performed the first commercially viable trade finance transaction using blockchain technology anywhere in the world. The British-based bank, which has its roots in China and Hong Kong, says it issued a letter of credit for American food and agriculture firm Cargill, to Dutch-owned ING. The trade finance transaction referred to a shipment of soybeans from Argentina to Malaysia. Blockchain is best known as the technology that underpins bitcoin, recording transactions by “mining” a huge network of computers. Bitcoin’s transactions are in this way recorded on the network, and a public ledger is created. The concept of a decentralized ledger is attractive to banks, such as HSBC, for whom issuing letters of credit, among other such processes, are currently time-consuming and involve large quantities of paper documents. HSBC’s pioneering use of blockchain shows the potential for this nascent technology to revolutionise many aspects of the financial sector beyond cryptocurrencies. HSBC said the technology is “perfect for trade” because it keeps an unchangeable secure log of the transaction and full details of the products being bought or sold, over a much-reduced time span.